You must make reservations at least 5 minutes in advance of the time at Sinclair's Restaurant. We dined here two years ago in 2017. We've had a fantastic experience. We were very excited to return. It was a great disappointment. The menu was not very exciting and the food presented was mediocre at best. It felt like it is not the same place. The service was great, the staff was attentive, polite and entertaining. Fish of the day was red snapper and it was blackened and very good. Black and bleu Ribeye was cooked as ordered and very tender. Mushroom Risotto was good and a generous serving for 2. Service was excellent. They were working on the floor so we were moved to the atrium. It was still lovely and well done. Food was tasty and well plated, a bit pricey for the lack of guest service and atmosphere. Hostess was rude, server was slow and not informed about the menu. Electric keyboard was tacky. Peter our wait staff was superb. From the wines, tuna tar tar, filet, sides& Peter personally making our Strawberry flaming dessert ( much better than any Bananas Foster) . We could not have had a better restaurant in NYC where our daughter lives. Matre D & staff were top notch. Even the fresh sautéed kale (my husband isn’t a veggie lover) were a big hit. He wanted the chef to share the recipe. Best Valentines dinner in our 21 years of marriage. West Baden Hotel & Sinclair’s are true gems! It was a very enjoyable meal. There was a mistate on our order, but our server took care of the problem. We had dinner a Sinclair’s in celebration of Valentine’s Day and it was as wonderful as always. 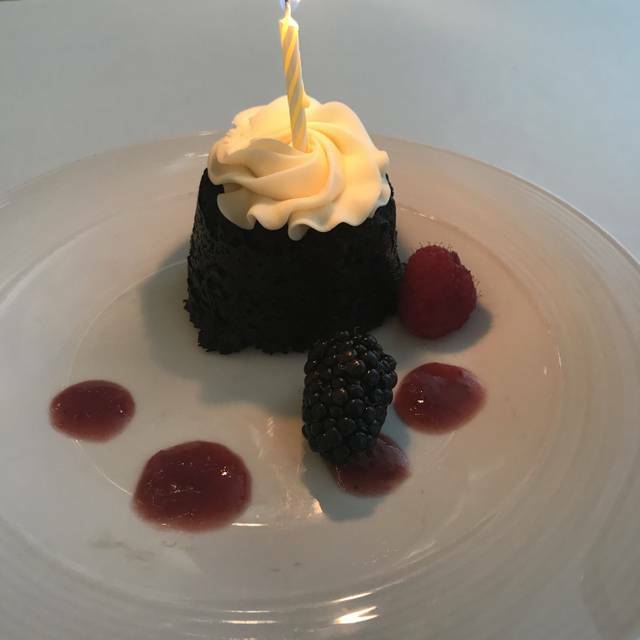 The food was delicious, service outstanding and ambiance elegant and relaxing. Our steaks were perfect. The meal was really delicious. Service could have been much better. Our server argued with us about the way that we requested our steaks to be cooked, which we didn't appreciate. However the food made up for that part of our experience. We enjoyed our dining experience...service was good, nice dining room, food was good but a bit pricey. $50.00 for Lobster Fettucine was a bit much. 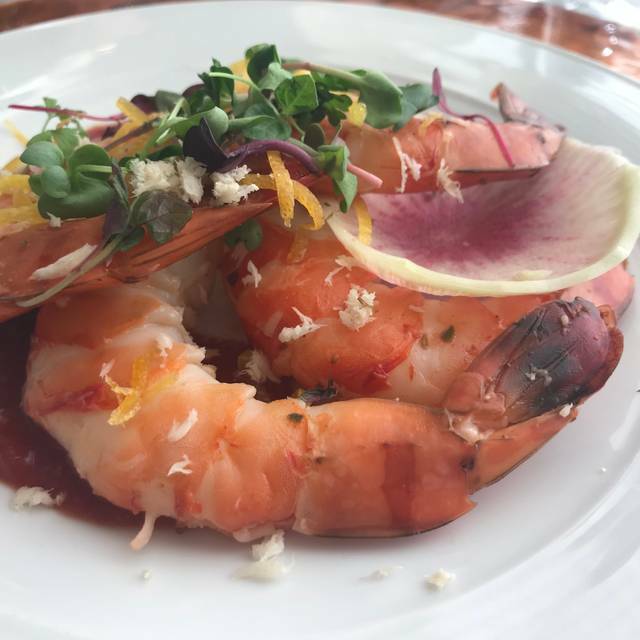 Enjoyed the dish but wasn't a $50.00 dish in our opinion. Overall resort is beautiful and elegant. Enjoyed the tableside Banana's Foster but not sure it was a $29.00 dessert. Nonetheless, we had a pleasant evening and found the staff to be attentive, friendly and accommodating. We will be back to West Baden. I made reservations weeks ahead, and yet we were seated on the "café" side of the restaurant. There was only one other table of two and us. It was FREEZING!!! As usual, the food and wait staff were terrific...but I don't know why we were "ostracized". Still the best restaurant in West Baden / French Lick. 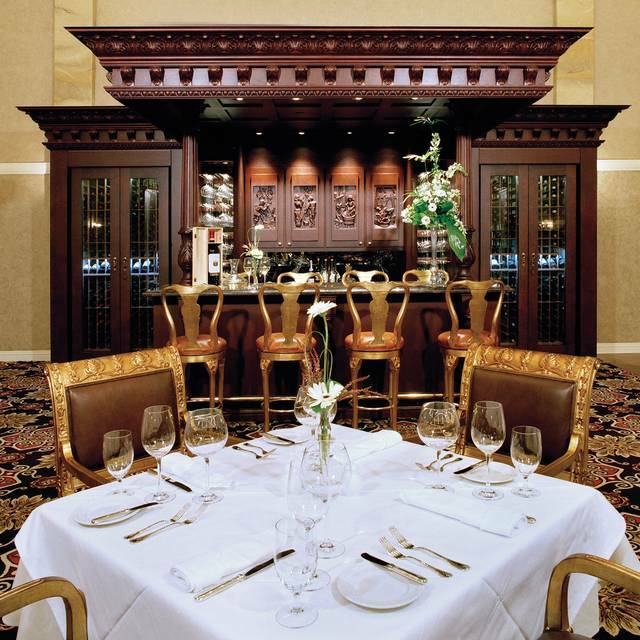 Don't waster your time or money at the French Lick steakhouse. Bah. Service was excellent and the food was fantastic. Recommend! Beautiful restaurant! Steaks great! Appetizers so so. Good service. Very enjoyable. I have eaten here before several years ago and I was a little disappointed in the meal this time. My husband's steak was a little tough, temperature of the food was lukewarm and lastly, my lobster was tough. The ambiance was nice, service was excellent. The tableside dessert was exquisite. I expect to pay more at a place like this and am willing to do so, but i expect the food and service to be in line with the cost. Service wasn’t terrible, but our server couldn’t answer some basic questions. Food was just not good. No other way to put it. Dinner for two was $240. We ordered the 6-course Chefs special and both left hungry. I’m very disappointed. Ate at a local bar in town (Legends) the next night for $50. It was great! Overpriced for the food selection. Service needs improvement for the price. Steak over cooked when asked for med rare. My mom and I had dinner at Sinclair's while on a two-day trip to the Spa at West Baden. Overall, the food was good, but not as outstanding as would be expected from the prices. I had the lobster fettuccine, which had a nice portion of lobster, but the pasta was a bit lacking in flavor. My mom had the rack of lamb, which was quite good. My salad was nice and my mom reported that the lobster bisque was good. The dessert - the chocolate dome - was predictable but perfect for a good dose of chocolate at the end of the meal. Our server, Marcia, was lovely and attentive (we were also served by her for breakfast in Sinclair's Cafe, and she was again great.) However, we were taken aback by the attitude of the hostess when we arrived for our reservation - she was sullen, appeared irritated with having to seat us, and went about her duties as if they were a chore. We noted that her attitude appeared to improve over the course of the evening as she sat other guests, so it is very possible we caught her at a bad time, but our interaction with her did not set the best tone. This was our first visit to Sinclair's at the West Baden Resort. The menu was very limited, but the lamb and beef fillet entrees we chose were very good. Most side dishes were a la carte. The waitress was not very friendly at all, very business-like with no smile or small talk. Overall, it was expensive for what you got and the atmosphere was less than cozy. We will not be back, unfortunately. Sinclair's is always outstanding, especially during the Holidays with the big tree in the dome!! The service was terrible. We had 3 grandchildren with us who waited over 25 minutes just to get their sodas. The food was terrible and the prices did not reflect the poor quality of the food. My wife and I came to Sinclair's for a special outing and we were very impressed! The quality of the dining experience was unmatched. Our server, Peter, was incredible and very attentive. The ribeye was one of the best I've ever had. The mushroom risotto was incredible and big enough for 2 to share easily. The pricing isn't for a regular occasions but it is definitely something special if you get the chance. The food is exceptional here the last times I’ve been there. But this time I felt that it was just not up to previous visits. The service was excellent. The service was wonderful and the setting has a lovely historical feel. Unfortunately our meal was incredibly over priced. 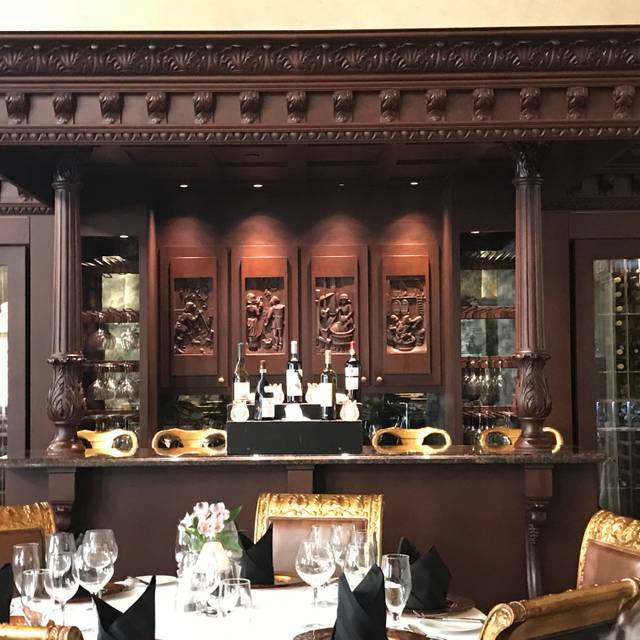 Very limited menu and over priced mediocre wine list. My husband enjoyed his lamb but my eggplant (the only meatless option) was undercooked. The strawberries au poivre, prepared table-side, was delicious. Very nice meal, service was great, choices are limited, salads were overvalued and not great but entrees were awesome, ambiance is very nice. My only complaint is that there was a dinner party in an adjoining room with open ceiling and one lady shrieked laughter extremely loud the whole time. If you have a quiet dinner setting you should not have a rowdy party in the adjoining area. Fabulous food and great service in a beautiful setting! One of the best meals we’ve had. Know what you are getting. French Lick is not a culinary destination. 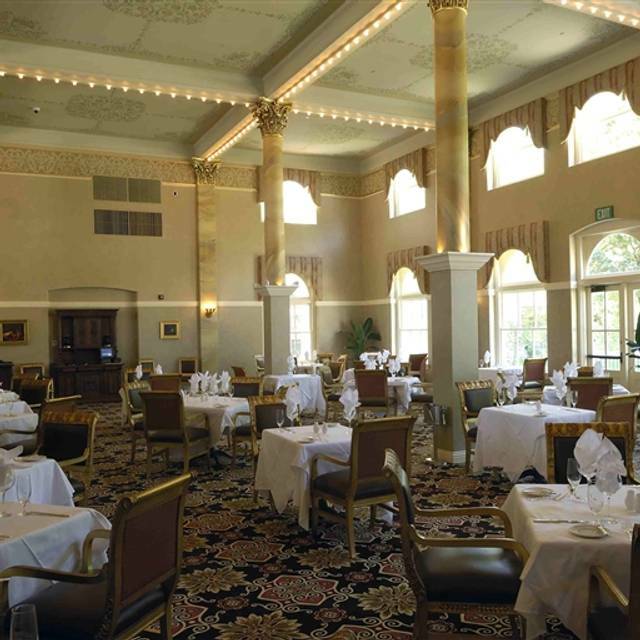 Sinclair's is located in the historical and beautiful West Baden Hotel. It's good food, but not as good as the surroundings, atmosphere, and presentation would lead you to believe. Also, while the servers were friendly and responsive, it is a notch below what you would see in a fine dining establishment. Still, I'd recommend it if you find yourself in French Lick — just don't go with too high of expectations and you will leave happy. The Filet was way too salty. 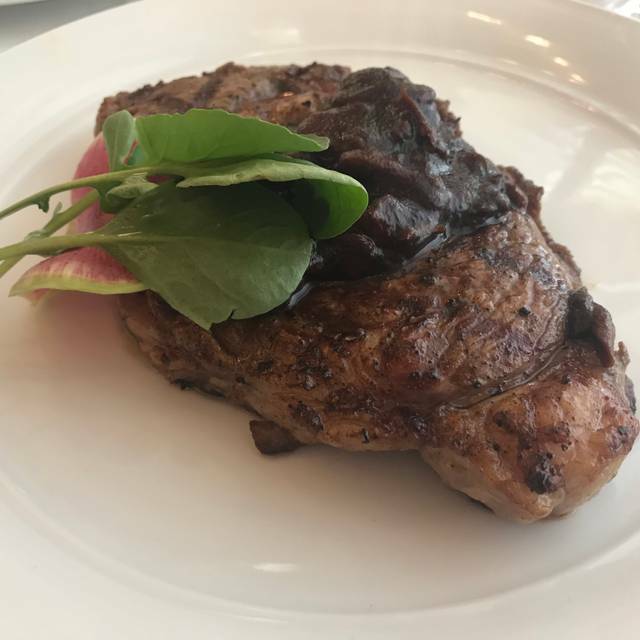 The Ribeye with its dark mushroom sauce was difficult to cut around the steak's marbling, when combined with the dining room's low light. The pea salad was difficult to eat due to the length of the stems on the greens. The grilled asparagus side and sauce were both good, as was the signature Dark Chocolate Dome. Overall disappointed that a $200 meal without any drinks was not better, especially the main courses. Our server made the meal a real treat - we enjoyed our selections - the stuffed eggplant is particularly delicious and not to be missed - if you like ratatouille, you’ll love this ! Service was excellent. Food was really good and in very large proportions. Beautiful restaurant in the West Baden Hotel. Great staff. Accommodating to our needs. We were dining with a five month old and felt very welcomed. My daughter requested her dinner prepared in a certain way and she got exactly what she asked for. I will definitely return. Celebrated our 26th anniversary. My husband and I thoroughly enjoyed our dining experience. The pea salad was a perfect serving and a great start. We both ordered the rib eye. Typically we prefer our steaks with no sauce accompaniment. The foie grass butter was a nice touch. Price was on point considering the portion - leftover of steak and potato was another meal the following day. Our server, Kristine, was attentive and attributed to our positive experience. We were pleased with the entire staff and meal. Thank you. Excellent food. While this may be on the expensive end of a person's food budget, it's well worth the expense. Very good service and ambiance. Food was wonderful. As good as it gets with a “resort casual” dress. We had the chief prefix menu! It was awesome! The chief cam out and explained a few of the courses. The food was delicious and creative we had a lot of fun! Service was on par with expectations of fine dining. Salad was delicious and well thought out, but pasta was over sauced, salty and the lobster overcooked and tough. I ordered asparagus as a replacement as I am not a fava bean fan - but got a side for two or even three people I couldn't begin to finish. I was disappointed in the overall dish. The server cked on me only once after dinner was brought to me - I just found the experience underwhelming. All that being said the ambiance was striking, beautiful and peaceful. The history of the architecture is breathtaking and the antiques are gorgeous. The wine was crisp and refreshing. The severs kept my water and bread/butter filled and they seemed to try their best to provide a good experience overall. Sinclair’s was amazing ! You walk into a columned room with very high ceilings! Gold,black and red carpet and unique booths for a table of 2! Peter was a very attentive waiter, who paced our dinner without the usual rush! Shrimp Cocktail and New York Strips and Asparagus all cooked to perfection ! Can’t wait to get back to West Baden!